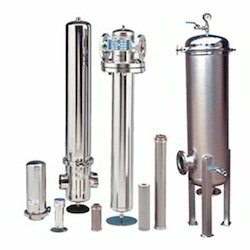 Manufacturer of a wide range of products which include stainless steel filters. Highly appreciated among our customer for its easy operation and low maintenance, the offered Stainless Steel Filters is highly appreciated among our patrons. In addition to this, due to their high performance and longer functional life, these heatless air dryers are highly demanded. For manufacturing of the offered air dryers, the cutting-edge machinery is used.